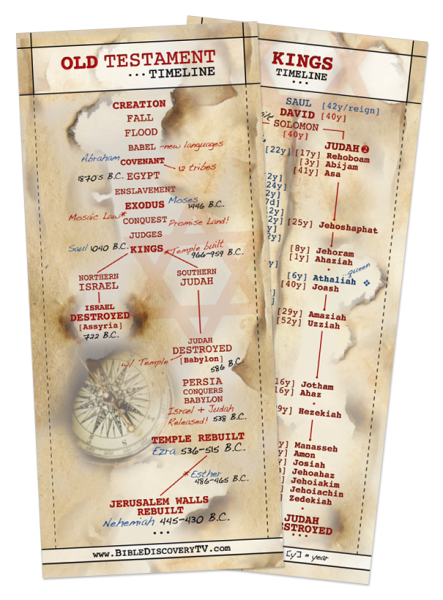 Created by Corie Hembree-Bobechko, the Kings Timeline (aka Old Testament Timeline) is a double-sided reference tool that showcases the overarching history from creation to the rebuilding of the Jerusalem Walls with a detailed genealogy of the Kings of Judah and Israel. Also available is the Emperors Timeline (New Testament) and the Prophets Timeline (Chronology of Bible Books). > 30 Timelines for $180 ($6/each).